A pilot period to allow e-bikes on certain regional and open space trails in the plains is in effect. E-bikes are prohibited on all other county open space trails. E-bikes are allowed on certain trails during a pilot that runs until Dec. 31, 2019. During the pilot, staff will hold public engagement events and continue to collect public opinions through a variety of methods. Learn more about the public engagement process. During the pilot, staff will hold public engagement events and continue to collect public opinions through a variety of methods. Staff will also evaluate the need for sight-distance and other safety signage. The pilot period will conclude with a public hearing to present findings and request a decision on e-bike access going forward. During the pilot period, staff will also study the mechanism by which the county might make such a policy permanent. Staff will develop options for updating the definition of “passive recreation” in the Open Space Element of the Boulder County Comprehensive Plan, and conduct a robust public hearing process on this question with the Parks & Open Space Advisory Committee and Planning Commission. Comments may be submitted using the form below. All comments will become part of the public record and are immediately visible after submission. The Board of County Commissioners and the Planning Commission will hold a joint study session on March 5 concerning the E-Bike Pilot Study for Open Space Trails. The meeting is open to the public, but public testimony will not be taken. Staff met with the Planning Commission on Dec. 19, 2018 and introduced the history and process of e-bike outreach in Boulder County, outlined a process for considering a revision to the passive recreation definition, and solicited Planning Commission input on design of the pilot study to ensure they get the information they will need for consideration of this question. Sign up to receive email updates about e-bikes. E-bikes, also known as electric bicycles, powerbikes, pedelecs, or booster bikes, are bicycles with an integrated electric motor that does not exceed 750 watts of power. 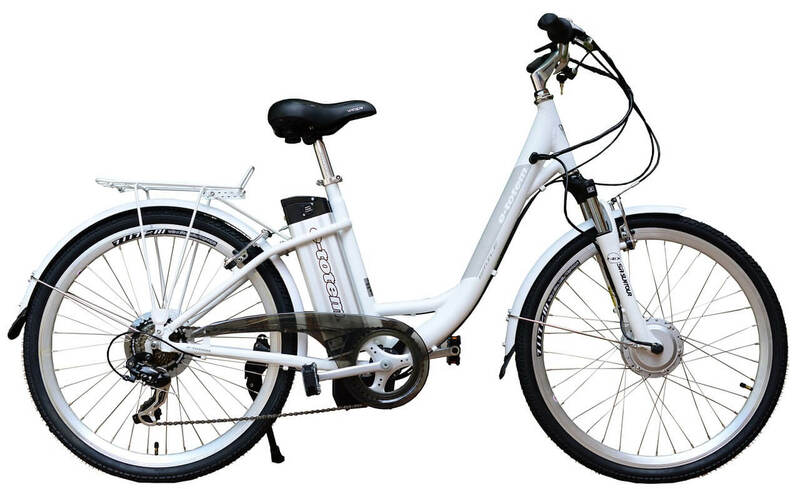 Class 1 e-bikes provide electrical assistance only while the rider is pedaling. Electrical assistance stops when the bicycle reaches 20 mph. Class 2 e-bikes provide electrical assistance regardless if the rider is pedaling or not. Electrical assistance stops when the bicycle reaches 20 mph. E-bikes are classified as motorized vehicles and are only allowed on motorized trails, including Bureau of Land Management (BLM) and National Forest (USFS) lands. E-bikes are classified as bicycles and have the same rights of the road as traditional bicycles. In 2017, HB17-1151 Electrical Assisted Bicycles Regulation Operation was passed. The bill changed Colorado bike law, specifically C.R.S. § 42-4- 1412, to allow Class 1 and 2 electric assisted bicycles on multi-use trails unless explicitly prohibited by the managing land agency. The bill gives local governments the authority to allow or prohibit the use of specified classes of electrical assisted bicycles on pedestrian paths and bike paths. Local governments have the authority to authorize the use of e-bikes on bike or pedestrian paths. Under the current Rules and Regulations, e-bikes are prohibited except where such use is specifically designated. Individuals with mobility disabilities are allowed to use Other Power-Driven Mobility devices (OPDMDs), which can include e-bikes, on all trails open for pedestrian use unless a particular trail has been designated as inappropriate for use by OPDMDs based upon the assessment factors found in 28 CFR § 35.137(b)(2) of the Americans with Disabilities Act. A current list of trails where OPDMDs are allowed is available on the Accessibility on Open Space page. On Nov. 8, 2018, the Board of County Commissioners approved a one-year pilot period starting Jan. 1, 2019, to allow e-bikes on certain trails, specifically the regional trails and the plains trails minus the Boulder Canyon Trail, the Coalton Trail, the Mayhoffer Singletree Trail north of Coal Creek Drive, and trails at Walden Ponds. The decision also calls for staff to study the mechanism by which the county might make such a policy permanent if so decided at a later date following robust discussion with the public and the Planning Commission who will help design the pilot study in coordination with the Board of Commissioners in order to collect the data necessary for that decision. Please see the following documents for more details. Allowing class 1 and class 2 e-bikes on regional trails and on all trails on the plains where bikes are allowed, with the exception of three trails: the Coalton Trail, Mayhoffer Singletree Trail, and the Boulder Canyon Trail, as requested by City of Boulder. Prohibiting e-bikes on all foothill and mountain trails. Staff proposes this recommendation as a pilot program to run through 2019. This will give staff an opportunity to conduct targeted studies on e-bikes at selected parks and trails in order to assess the pilot program. Public Hearing on Nov. 8 at 3 p.m. Please see the Staff Memo for complete details. Thursday, Nov. 8 at 3 p.m.
On June 28, the Parks & Open Space Advisory Committee voted 3-2 in favor of the staff recommendation.